Baseball season is almost here and it is so much fun for children to learn about! 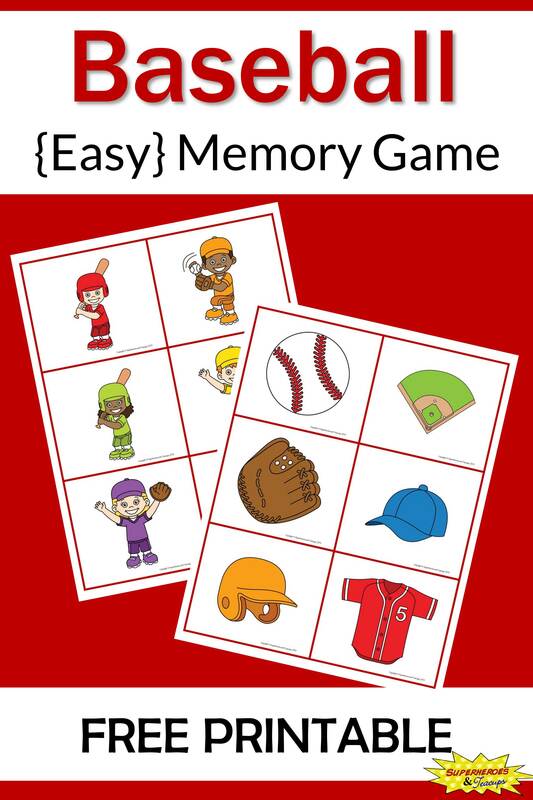 Your child can learn all this traditional American sport and practice memory and attention skills with this baseball memory game. This baseball memory game includes 12 different images on two pages. Just print out two copies of each page and cut them out. For an easier version, just use some of the images. To download this printable, simply click on the link below. Clip art for this printable purchased from Zip-A-Dee-Doo-Dah Designs.